Great news for AIR MILES Cash collectors - you'll once again be able to use your miles for in-store redemption starting this Wednesday. TORONTO, April 3, 2017 /CNW/ - Today, the AIR MILES® Reward Program announced that in-store AIR MILES Cash redemptions will resume on Wednesday, April 5th at 5:00 a.m. EST. Collector Account security is a top priority for AIR MILES, which is why the company is also announcing a series of additional fraud management policies that will help to enhance Account security for all Collectors. Collectors will now have a daily cap of $50 for in-store AIR MILES Cash redemptions across all Partners, per Collector Cash Account, per day. This translates to a maximum redemption of 475 Cash Miles per day. In-store AIR MILES Cash redemptions will exclude gift cards and near-cash products (i.e. pre-paid credit cards). To access Collector Cash and Dream balances on www.airmiles.ca, Collectors must log in to their Account using their Personal Information Number (PIN). Collectors who forget their PIN are encouraged to use the self-serve tool located on the company's website to create or reset their PIN. In-store redemption of AIR MILES Cash prompts an email to the Collector to inform them of the transaction while also providing instructions on what to do if the Collector was not the party who used Cash Miles in-store. AIR MILES' Anti-Fraud Team will continue to monitor patterns of redemption in order to spot irregularities and suspicious activity as quickly as possible. The company will continue to proactively communicate to Collectors if fraud is suspected and will take action to protect their Account. For extra protection, Collectors are encouraged to "lock" their Cash Account. While Cash Accounts are locked, Collectors can continue to get Miles, but no AIR MILES Cash redemptions are possible. Collectors who choose to lock their Cash Account can unlock it quickly, prior to conducting an in-store Cash redemption by using the PIN associated with their Account via www.airmiles.ca/cashlock, the AIR MILES App, or by using our Customer Care automated phone system. Collectors should ensure their email address on file at AIR MILES is up-to-date, enabling the company to send AIR MILES Cash redemption confirmations. 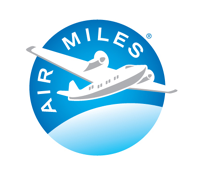 AIR MILES added 30 additional Customer Care Agents and another 30 agents will be added as of Wednesday, April 5th to support Collectors with these changes. As previously announced, the company introduced 24/7 customer support through its Facebook and Twitter social media accounts. Glad to see this option return so quickly and we are also very happy to see the additional steps brought in by the AIR MILES program to ensure the safety of their member's miles. "To access Collector Cash and Dream balances on www.airmiles.ca, Collectors must log in to their Account using their Personal Information Number (PIN)." "And I hope, really hope that AIR MILES does away with the simple input a number and get your balance on their website, make all users type in their PIN before showing the account is valid and has a balance." This made it very easy for potential thieves to input random collector numbers into the website and see who had big enough cash balances for them to go to a store to redeem them. "For extra protection, Collectors are encouraged to "lock" their Cash Account. While Cash Accounts are locked, Collectors can continue to get Miles, but no AIR MILES Cash redemptions are possible."